If you're currently in the market for a cheap Nintendo Switch deal for Christmas then, unfortunately, you might want to consider a crucial piece of information that has just come to light by acclaimed tech and gaming reporter Yuji Nakamura. That's because Nakamura, writing for the prestigious US news site Bloomberg, has just revealed some pretty damning financials for the Kyoto-based games maker, with the firm reportedly set to miss its two-year Nintendo Switch sales targets, a fact that has caused its shares to drop by around 33 per cent since January 2018. Indeed, that amazing first year on sale where jaw-droppingly amazing titles like Super Mario Odyssey and The Legend of Zelda: Breath of the Wild bagged perfect scores from every title of note now seems very, very far away, with a relatively barren second year seemingly slowing all that positive momentum. Interestingly, Nakamura highlights how poor sales in Nintendo Labo in particular, the cardboard toy add-on that makes use of the Switch and its Joy-Cons, has been the year's biggest disappointment. "Sales have struggled," states Nakamura. It looks like Nintendo Labo's poor sales heavily contributed to the Switch's poor 2018. "2018 was a reality check and brought lofty expectations back down to Earth. The Switch is great, but is still primarily a handheld, and a very expensive one. I don’t see sales growing unless the price is reduced to below $200." If Pachter's comments prove accurate, and he has a history of being so, it certainly looks like Nintendo will shortly drop the prices on the Nintendo Switch, which it would do in an attempt to hit its target of 38 million unit shipments by March, which is currently only charted at 35 million. As Nakamura notes, a price drop to under $200 in the US would be a rough 33 per cent price cut from its current retail price. It looks like we could see around a 33 per cent price reduction on Nintendo Switch very soon. Now, right now the Nintendo Switch retails at GAME in the UK for £269.99 on its own, so if we apply Pachter's 33 per cent reduction, that would mean the Switch would actually retail for £180.89, a price drop of £89. The conclusion? It may very well be worth holding fire on buying a Nintendo Switch until after Christmas, as you might then have the potential to score a deal that far outstrips even the best of Black Friday, which saw the Switch drop only as low as £249.99. Naturally, Nintendo might also hold course with its pricing plan for the Nintendo Switch in fear of depreciating its Nintendo 3DS and 2DS markets. 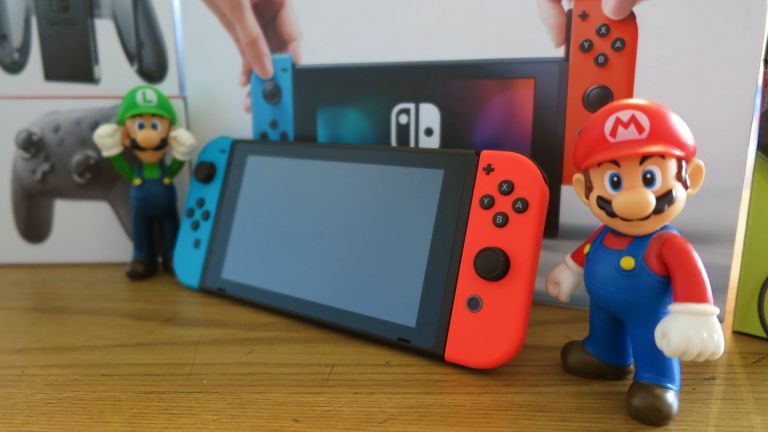 However, with rumours of a Nintendo Switch 2 floating around, and Ash noting that "Switch excitement has rapidly declined" as of late, and that "unless there’s significant change or something else new, the Switch story has been exhausted", it seems more likely that the price drop will happen, rather than it not.